I told you that there would be more Lambcasts coming down the pike. So here is this Months MOTM at the Lambcast. Lots of love but a little shade gets thrown in as well. Have a listen. Whenever something comes to you with a great deal of advance hype, it is my advice to ignore it as much as possible. Inevitably one of two things will happen. 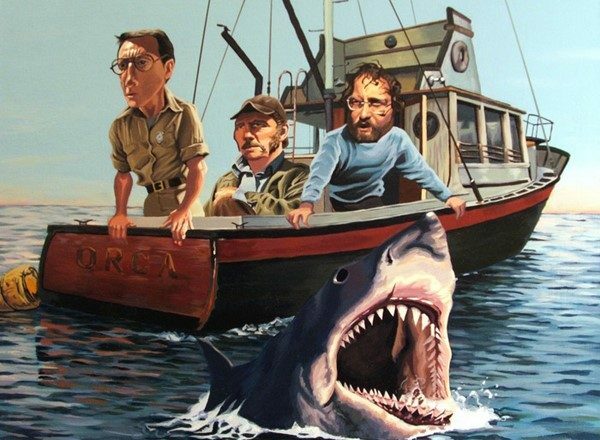 First, the movie can live up to the hype which is great, but the experience of surprise is diminished and you feel less like the discoverer of something special, and more like another passenger on the hype train. The second outcome is even less satisfying.You find the film a disappointment and you struggle to reconcile the hype with your dissonant reaction to it. A24 Studio has released some films that I really enjoyed, including my favorite film of 2015. “It Comes At Night” was a horror based film from last year that I really liked. Another film that I saw streaming, that was referenced as a endorsement for this film was “The Witch”. I was conflicted, because I hated that film. So where does “Hereditary” come down? In spite of some excellent visuals and disturbing ideas that are very intriguing, as a movie, “Hereditary ” ends up in the disappointment column. I was looking forward to this, it is promoted as being truly frightening, and Toni Collette is being given awards, six months before awards season begins. The performance by our lead actress will deserve some attention for sure, but the rest of the movie is a miss. It is bifurcated into a family drama/trauma story and a supernatural possession film. It works pretty well in the former capacity while having great visuals wasted in the later. Maybe I am being influenced by some recent film experiences too much because this movie reminded me of the incoherence of another movie experience I wrote and talked about a couple of weeks ago. An old horror film from 1971 begins incoherently, but as the film moves along, the ideas become a bit clearer so that you can see a plot thread while watching it. “Hereditary” has the same disjointed style but never coalesces into something tangible. I don’t think a movie needs to spell everything out for you along the way, but if you want us to care about characters and dread the coming horror, an audience usually needs to figure out where they stand in regards to the events they are watching. I never could make such an inference. Toni Collette is Annie, an artist who has recently lost her mother, a woman that she had a unsettled relationship with. Annie specializes in making miniatures of homes, museums, theaters etc. She recreates in detail, scenes from everyday like. She is working on multiple projects, one for a museum that she has done work for before, but also a few personal stories are being shrunk down to scale size often with sad detail. The opening of the film draws us into this story by taking us into a miniature of the house she lives in, only the perspective shifts and it is suddenly the real house and her family that we are seeing. So from the outset, we have no clear idea if what we are watching is supposed to be real, or if it is a visualization of an idea that bounces between reality and one of the art pieces. At any moment, the story feels as if we are in a dream sequence or an extended vision. At one point Annie reveals that she sleep walks and has visions of events that are not real. There are a couple of dream, within a dream moments,and that is also creating uncertainty in perspective. What is nightmare vs. what is real, this is the basis for almost everything that happens in the story. As a result, the vision we get are like the dioramas she is creating, moments in time that may be part of something bigger or simple visions of something unpleasant. Without the ability to trust anything you are seeing, you will likely become a dispassionate observer rather than an empathetic companion to the characters. My daughter and I discussed this and the analogy that we both felt reflected the story problem was to an essay being written for a college class. Each paragraph has unique points to it, some of which are frightening or disturbing. Another paragraph comes along with a different scenario, and often a different emotional element. The second paragraph has something to recommend it as well but it feels completely disconnected from the preceding material. As the following paragraphs repeat the process, the narrative feels disjointed. In the last paragraph the student tries to pull it all together so that we can see how everything is connected. Maybe in a paper you can get away with that, but when the whole plot of your movie has to be explained in the last two minutes of the film, that simply seems like bad storytelling. Let me illustrate with two episodes from the film. In one scene, there is a character who panics like a normal person would when an emergency occurs. A sudden unexpected development follows, and the traumatized character is in shock, so much so that the extent of a horrifying accident is only passed on to others by their accidental discovery of it. That scene plays out beautifully, in a horrifying manner that is in fact disturbing. The follow up on it however feels so unreal as to be scripted from a completely different story line. A second scene results in our main character revealing a personality quirk with another very disturbing story attached to it. It shows us that the character has a tenuous hold on reality. That hold is supposed to be the point of the story, at least that seems where it was headed, but again, we don’t get a firm perspective until the end of the movie. Maybe if the film was structured like “Memento”, it would work more, but it is put together like a haunting film, but the supernatural elements seem to show up out of left field after the traumatic sequence takes place. That supernatural element feels about a half hour too late. Every time we start to build some suspense, the moment is undermined by the uncertainty of the character’s reality. There are some images that should frighten us, but they have less impact because it could all be a dream again. When Annie creates a diorama of the tragic event from an objectivity point of view, it is a horrifying moment. When she is given a method to reach out to a loved one in the after life, it feels contrived. The other family members are only perceived from her viewpoint for most of the story. When the viewpoint shifts to the other characters, it seems like the film has suddenly changed. The tone is different and unsatisfying. Without a clearer backstory on the family relationships, it is hard to tell if the dynamics are new, problematic or simply typical. In a film like “The Exorcist” the audience participates and empathizes with as well as anticipating events in the characters lives. 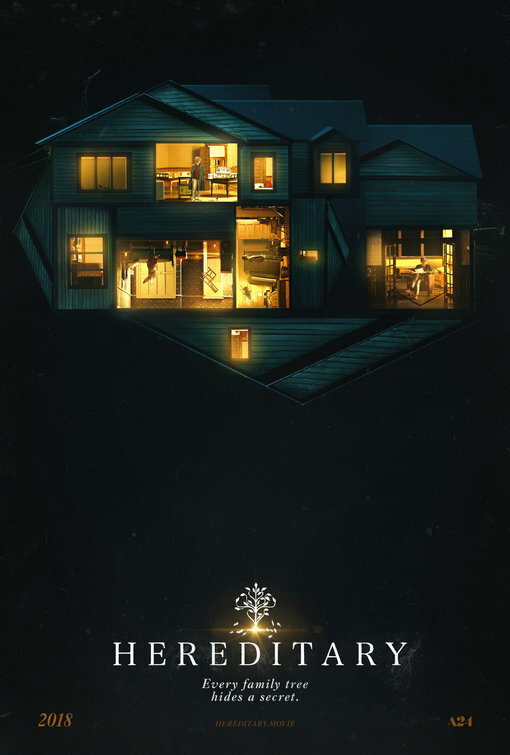 With “hereditary”, I found myself saying “why?”, even as I was looking at something that should be a horrifying moment to bring us into the story. It is Official Now, I am Co-Host of the Lambcast. Jay Cluitt doesn’t want to be burned out by the time he is 33, so he has asked me, a guy twice his age to spell him on a regular basis. I’ll be co-hosting or hosting on my own several times this Summer. You will be seeing more posts like this, linking to the Lambcast Podcast. Please take advantage and listen. We usually have a great time talking movies. This week however it is a Draft Show and all bets are off. It’s a competition, so listen to the show and then go vote for the slate [mine] that you think is the best. Click below to go vote.